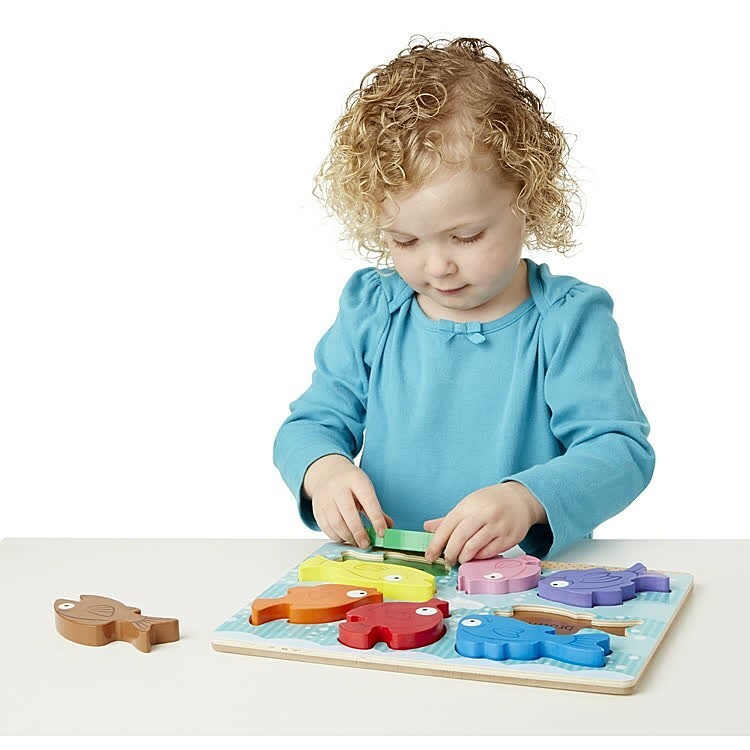 Play with wooden colorful fish, find their home places on the puzzle board, stack the chunky pieces, and learn colors and first words with Melissa & Doug's wooden puzzle. 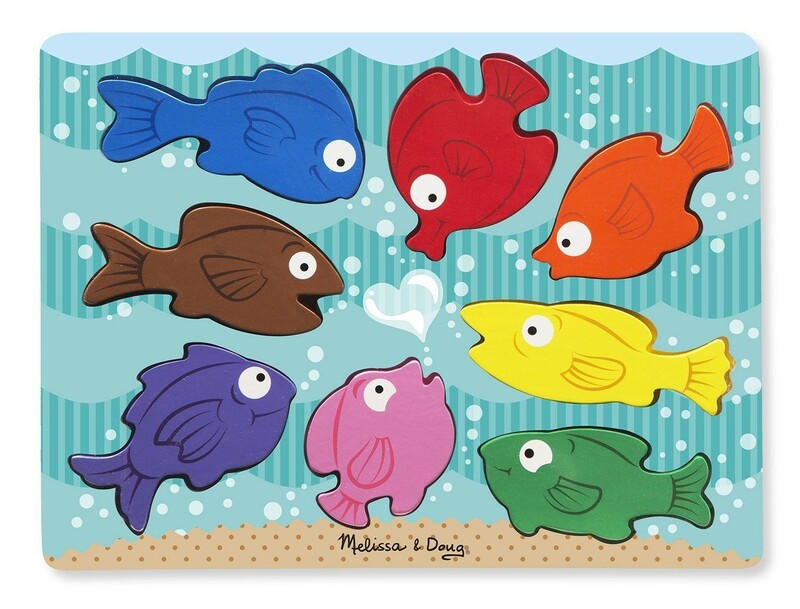 Toddlers can go fishing for colors! 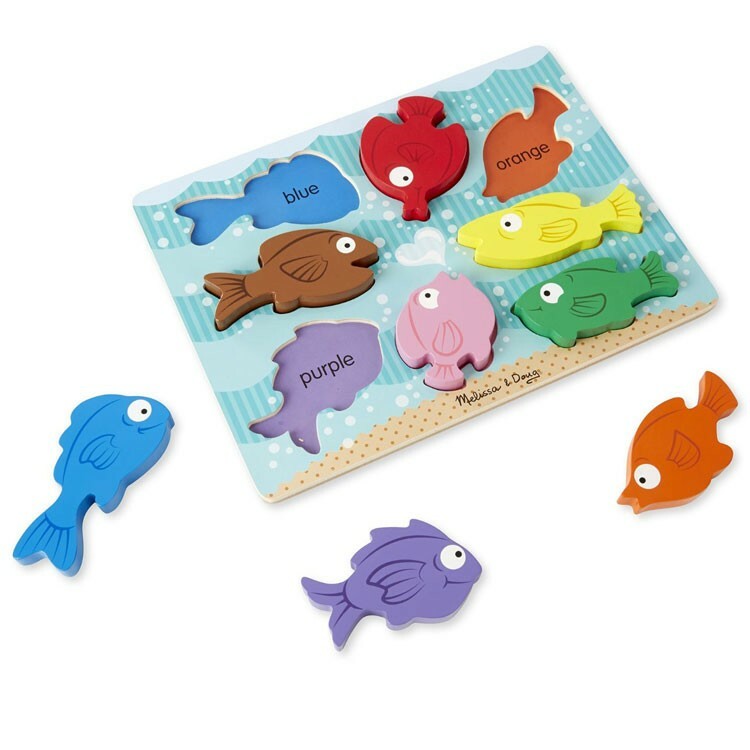 The whole school of colorful fish will become your toddler's or preschooler's friends as the kids find the right spot for each of the puzzle fish. 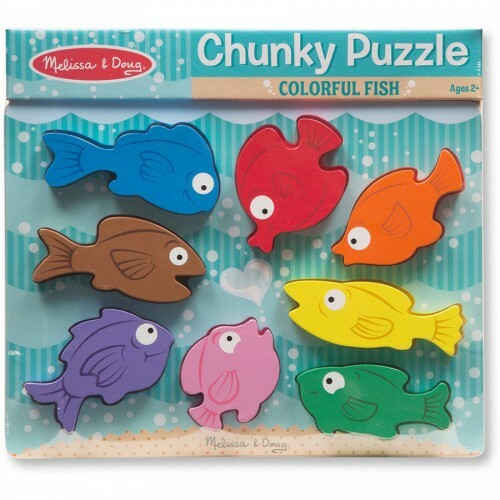 Colorful Fish Chunky Wooden Puzzle is a new addition of Melissa & Doug to their first puzzle collection. 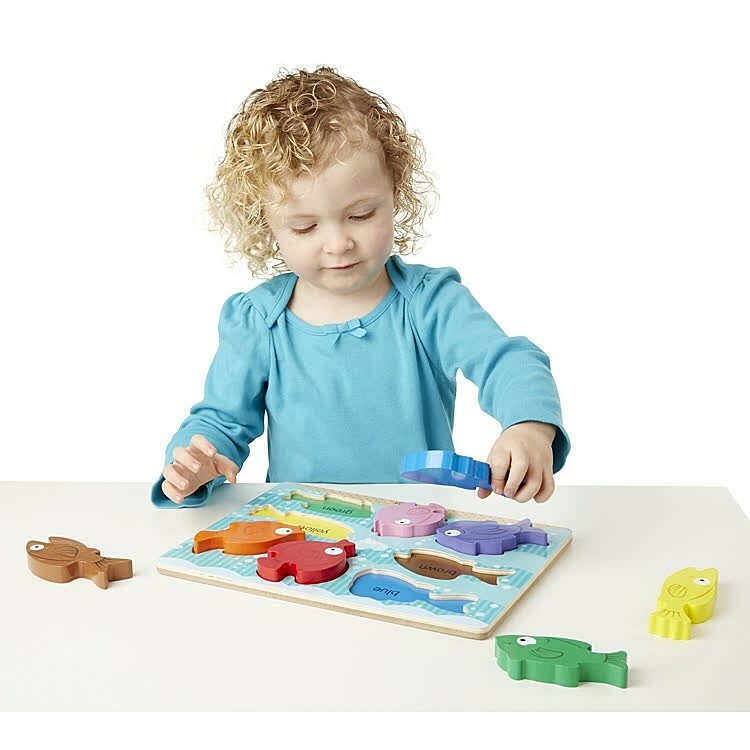 The wooden puzzle features a wooden board with color coordinated places for 8 colorful fish, and the chunky fish pieces. 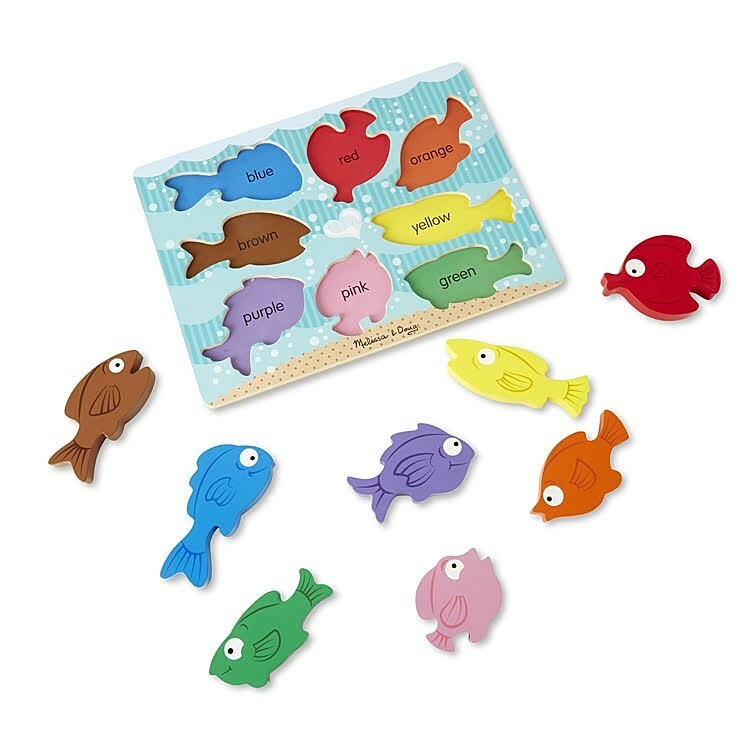 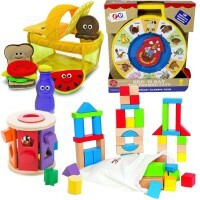 Play with fish figures, assemble the first color learning puzzle, or memorize the first words! 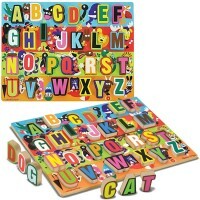 The color word is written under each piece. 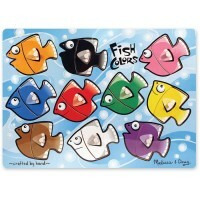 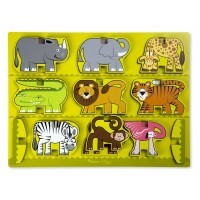 Colorful Fish Chunky Wooden Puzzle from Educational Toys Planet meets the highest US toy safety standards. Dive into the world of under-the-sea colors with this wooden chunky puzzle! 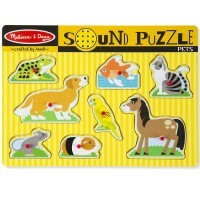 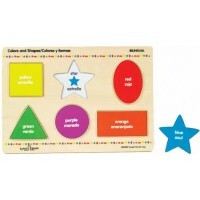 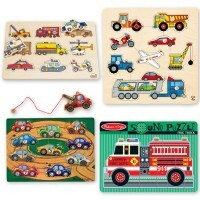 Dimensions of package 12" x 1" x 10.8"
Write your own review of Colorful Fish Chunky Wooden Puzzle.